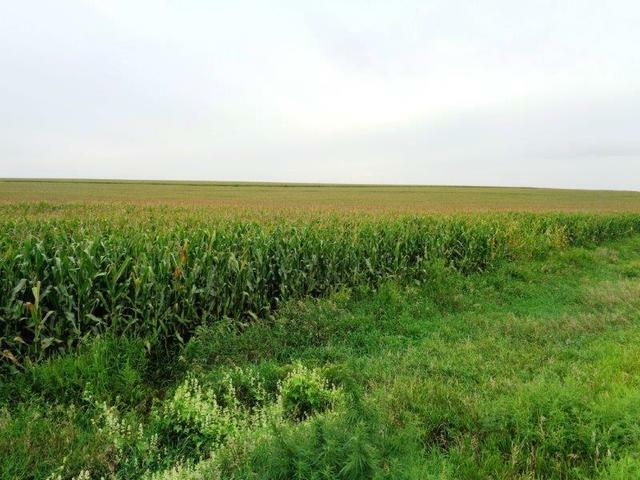 Selling 220 acres of good quality Ida County, Iowa farmland located southwest of Holstein, Iowa in Section 8 of Battle Township. Wed., September 5, 2018 at: 10:00 A.M. 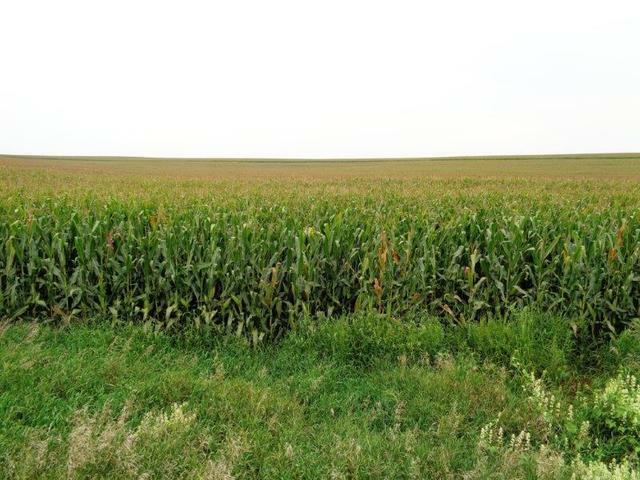 Parcels are located from Cushing, IA., 1 mile east on Hwy. D2, 1/2 mile south on Hwy. #L51, 1/4 mile east on 170th Street OR From the Junction of Hwy. 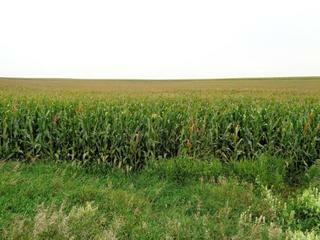 #20 & L67, west of Holstein, IA., 2 miles south on L67, 3 miles west on 180th Street,1/2 mile north on Brady Avenue. 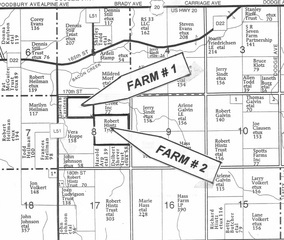 PARCEL # 1: An 80 acre, m/l, bare parcel. Soils include primarily Galva,Judson and Colo-Judson soils. Average CSR(2) of 84. FSA indicates Cropland acres: 79.46; Corn base of 38.99 with a PLC yield index of 205; Soybean base of 38.99 with a yield index of 55. Real Estate taxes: $ 2,126./year. 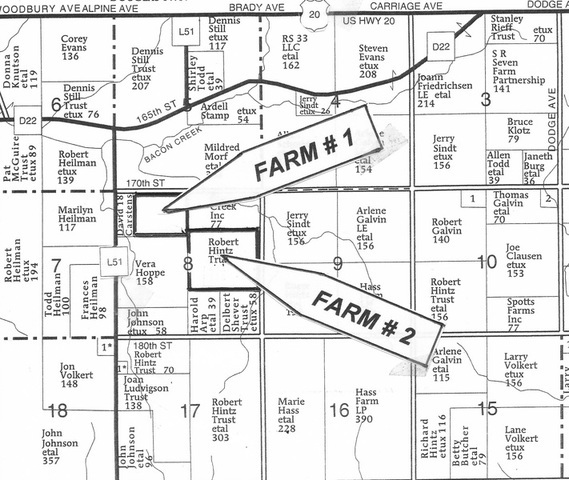 FSA indicates Cropland acres: 137.93. Corn base of 67.68 with a PLC yield index of 205; Soybean base of 67.68 with a yield index of 55. Parcels will be offered with the sucessful bidder to have choice of Parcel # 1, Parcel # 2 or may select both parcels. In the event the sucessful high bidder selects both parcels, the sale is over. In the event the high bidders selects one parcel, the remaining parcel will then be offered. Purchaser(s) will be required to pay 10% of the purchase price on day of sale and sign a standard real estate contract agreeing to pay the balance in full on December 3, 2018 upon receipt of a Trustee’s Warranty Deed and a Court Officers Deed. There are no buyer contingencies – all potential bidders are to have financing arranged prior to bidding. Sale is subject only to the approval of the Trustee and Executor at the auction. Any announcements made day of sale shall supersede any advertising. AUCTIONEER’S NOTE: Both of these high quality parcels would make a solid addition to an existing operation or ideal Investor – Income type properties. 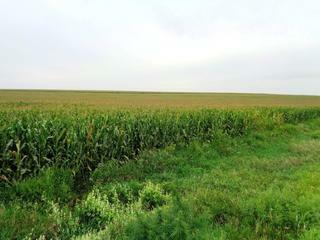 These farm parcel enjoy an excellent location just east of Hwy. L51. Mike Green, 712-660-0153; Jim Green, 712-660-2747.